The idea of the Big Summer Blockbuster exists so that once in awhile we will see one that blows all the other competition out of the water. 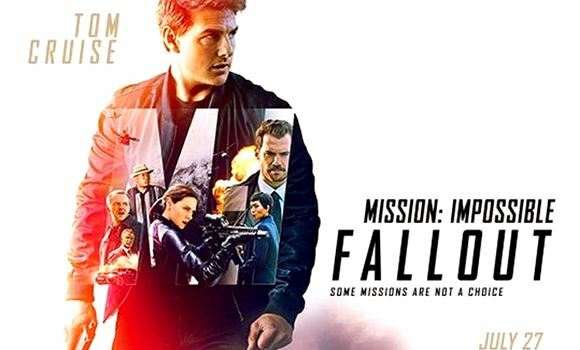 Mission: Impossible – Fallout continues the uptick trend in the series to become more sophisticated in its plotting. But in resemblance to a powerful drumbeat, the story keeps pounding forward until it naturally pumps out extravagant action and suspense scenarios. The plot comes off a little dense initially, that gets off its heels immediately when Tom Cruise’s team has to recover lost plutonium that fallen into the wrong hands could lead to nuclear holocaust. There’s a lot of back and forth with one of their captives, particularly Solomon Lane (Sean Harris) who was caught in the last installment, and what the good guys can extract information-wise out of him. The plot smooths out in time, quite marvelously, as the IMF team is trying to negotiate a slate of dilemmas so they can dismantle a terrorist outfit known as the Apostles. The second half of the movie is something of an action masterpiece – a race against the clock thriller that keeps pounding forward with propulsive momentum. The action of “Fallout” is a cascade of freshness, or at least as I’m watching it feels that way. The skydiving out of a plane with Ethan Hunt and CIA man August Walker (Henry Cavill) into an electric storm. Ethan Hunt’s motorcycle chase down the wrong way of traffic in London. Ethan Hunt’s cliffhanger as he tries to scale up a vertical rock. I pause and I think more judiciously that the skydiving scene is borrowed from 1979’s “Moonraker.” And the chase down the wrong way of traffic is an idea stolen from 1985’s “To Live and Die in L.A.” And that kind of cliffhanger began in 1975’s “The Eiger Sanction” with Clint Eastwood. No matter. Writer-director Christopher McQuarrie might be air-lifting some ideas, but he outplays the inspirations with his own ingenuity, expert staging and devilish inserted obstacles. McQuarrie takes the inspiration and rides with it. With his reverence for worldly locales and time is of the essence plotting, as well as the compelling development of both key male and female counterparts, he has with “Rogue Nation” and “Fallout” (numbers five and six in this series) helped outclass the James Bond series. 007 currently has nothing to show that’s better than what Ethan Hunt and company are up to. What an out of leftfield godsend McQuarrie has been! Who would have thought! McQuarrie has the instincts for a grand operatic like Christopher Nolan with the visual panache and game play of Brian DePalma, that’s how good he is. I called “Rogue Nation” short on visual flaws. I don’t think “Fallout” has any visual flaws. There’s a far-fetched storytelling flaw, which has to do with the early skydiving scene which feels contrived. However, if the characters had chosen a different route then we would have been deprived a great skydiving scene. I withhold any complaints. What certainly hasn’t been seen at all, or ever done as good, is the protracted finale in the country of Kashmir involving a helicopter chase through a snow-capped valley. Hunt’s team also has to locate not just one, but two bombs, and the detonator has to be tracked down. I always loved directors that can cross-cut between three different scenes and make dramatic harmony out of it, and McQuarrie is a high stakes wizard at doing this. McQuarrie brings back Rebecca Ferguson who adds elegance to the spy game, Michelle Monaghan is seen more than any time since the third installment, Alec Baldwin and Angela Bassett are here to rub each other the wrong way, and Cavill is as stiff as an ironing board – but it’s to the benefit of the movie since he’s here to squarely question Hunt’s methods. Ving Rhames and Simon Pegg return. 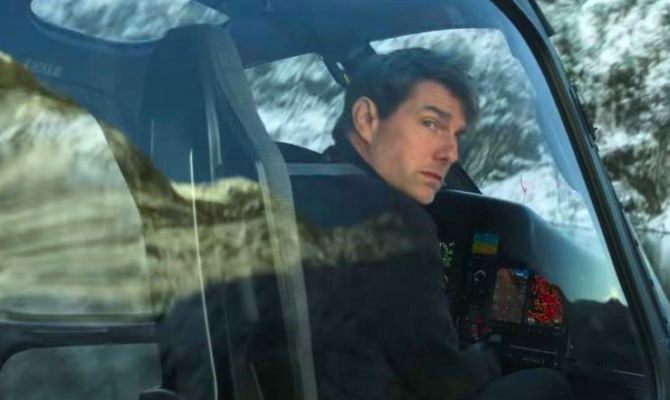 This is really the best supporting cast Cruise has ever had for a Mission: Impossible film, with alongside first-rate plotting it helps make “Fallout” one of the best action spectacles of the twenty-first century. See “Fallout” in IMAX if you can. Film Cousins: “To Live and Die in L.A.” (1985); “Mission: Impossible” (1996); “Mission: Impossible III” (2006); “Mission: Impossible – Rogue Nation” (2015).